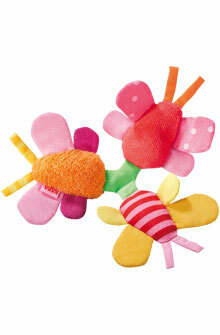 HABA 2611 - Fun is guaranteed with these three butterflies. Rustling foil and rattle. Material: polyester. Measures 5" diameter.